Philippine Airlines Promo 2017: Grab the chance to discover the beauty of the Philippines with our PALmazing Deals, our seat sale every weekend! 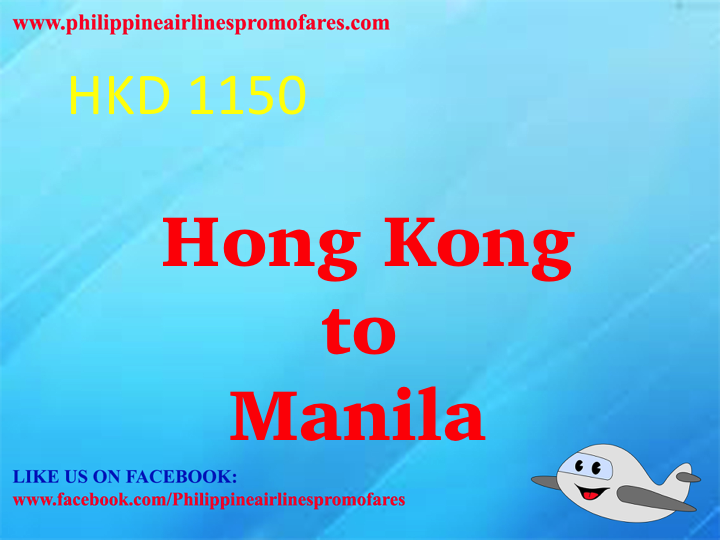 Come, visit and check the mesmerizing capital of the Philippines, Manila. But of course, you can check the many wonderful places and cities of the country with Manila as your point of entry. And if you are an OFW who wishes to go back to the Philippines, this your chance to book yourself a ticket! We are very sure, your love ones will be much happy when they see you home! Fare is equal to base fare + government taxes & fees + terminal fee. Fares quoted are inclusive of government taxes (except Philippine Travel Tax), fees and surcharges. Philippine Travel Tax is applicable to Philippine passport holders, foreigners holding a Philippine resident visa, and foreign tourists or expatriates who have stayed in the Philippines for more than one year. Fares are subject to change due to currency conversion rate. Quoted fares are rounded off to the nearest whole number. Fares are valid for roundtrip travel. Change fee is HKD780. PAL will collect No-Show fee unless booking is cancelled 24 hours before departure date. Ticket is non-transferable and non-refundable. Ticketing Service Fee is not applicable for web purchase. Child fare is 80% of adult fare. Infant fare is 10% of adult fare. Mileage accrual applies. Other conditions apply based on existing fare basis of the ticket. Fare is inclusive of 7-kg handcarried baggage. Free baggage allowance is 30kg.